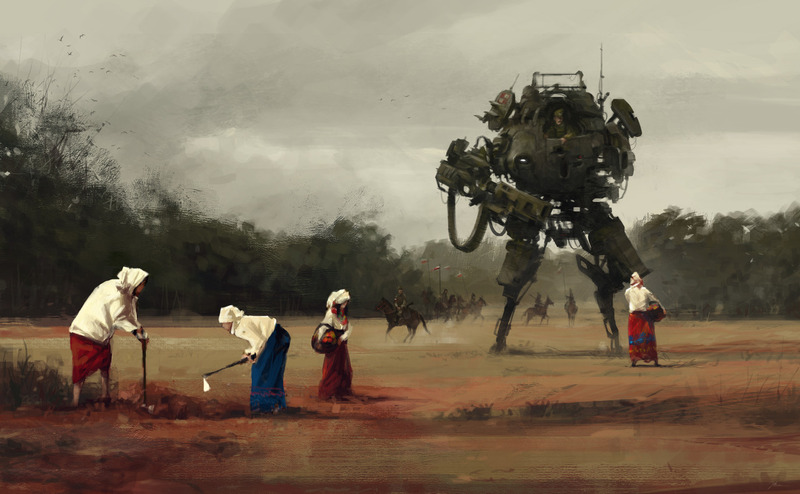 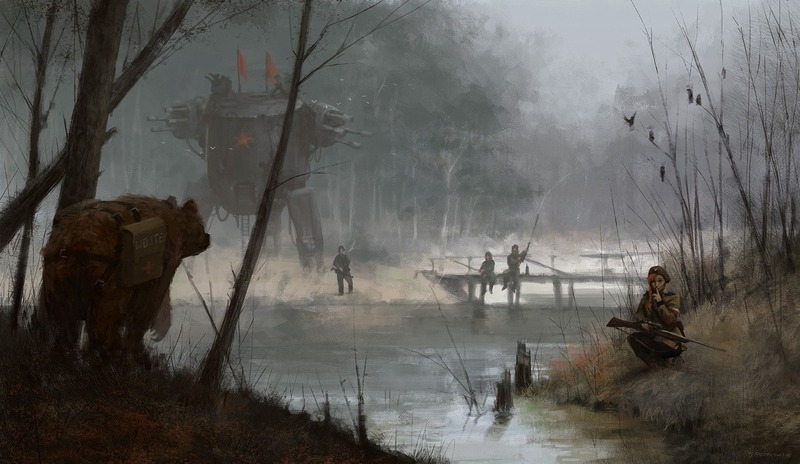 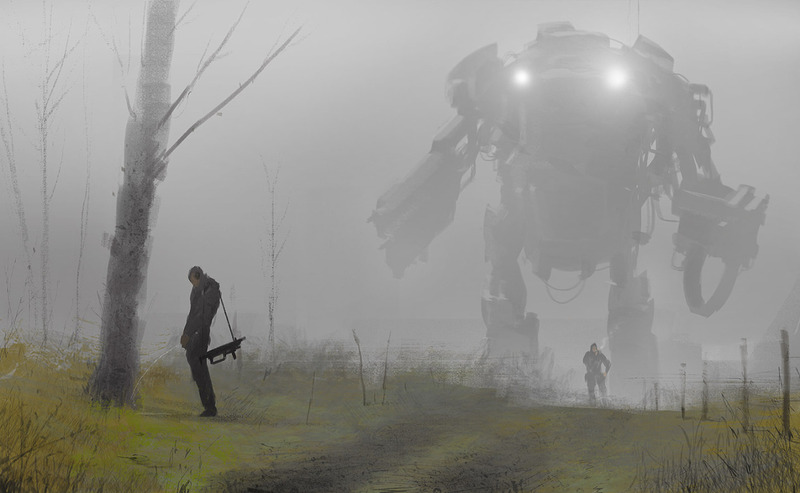 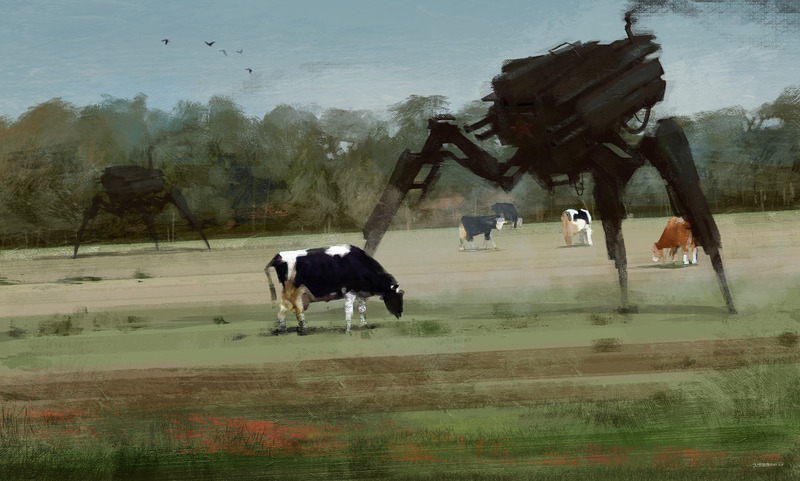 Jakub Rozalski is a concept artist now based in Germany who works at mobile studio Goodgame. 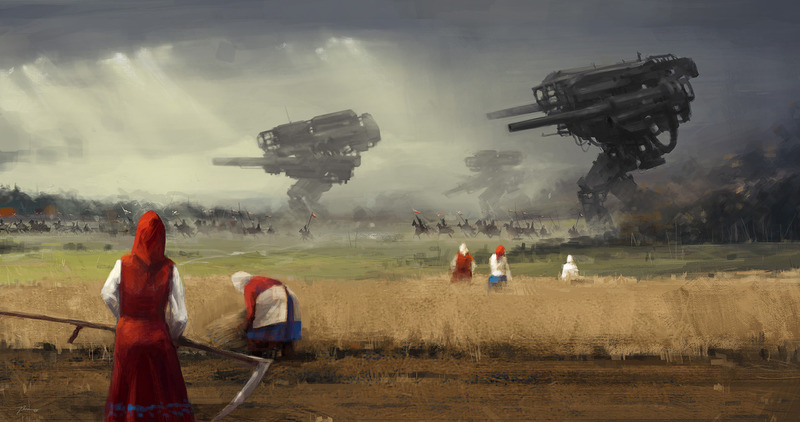 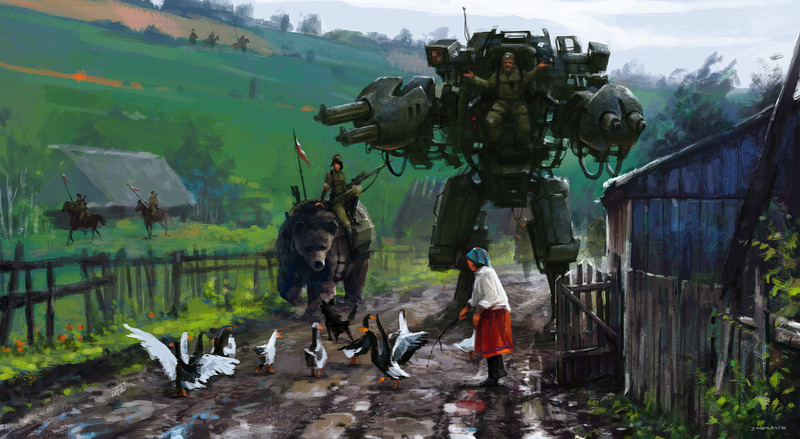 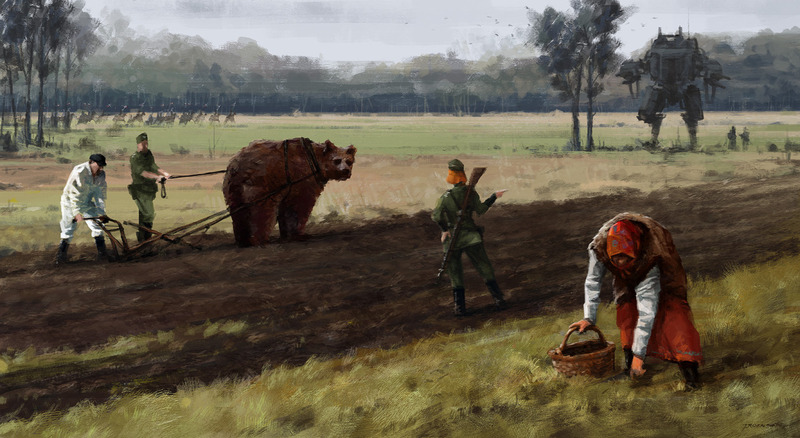 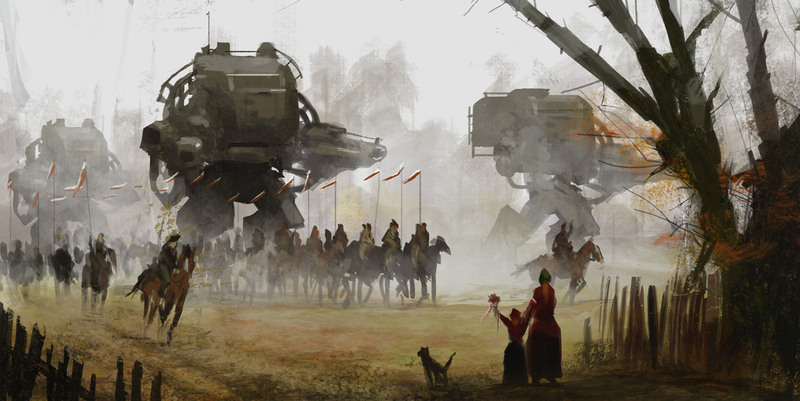 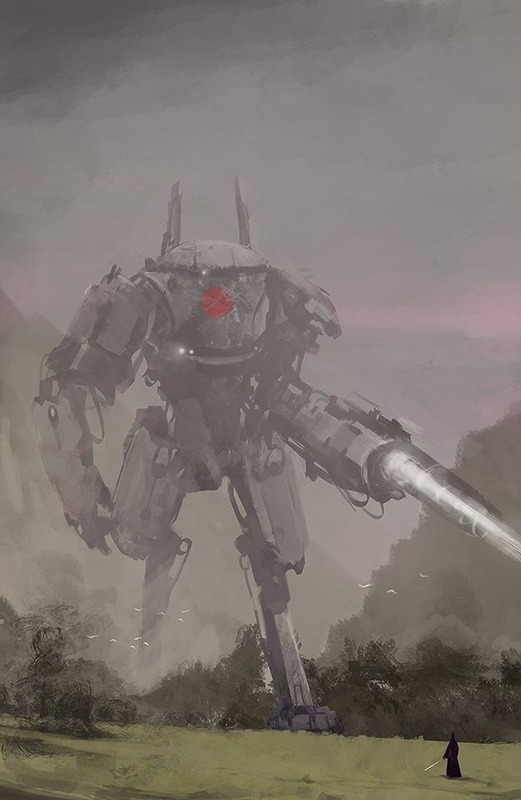 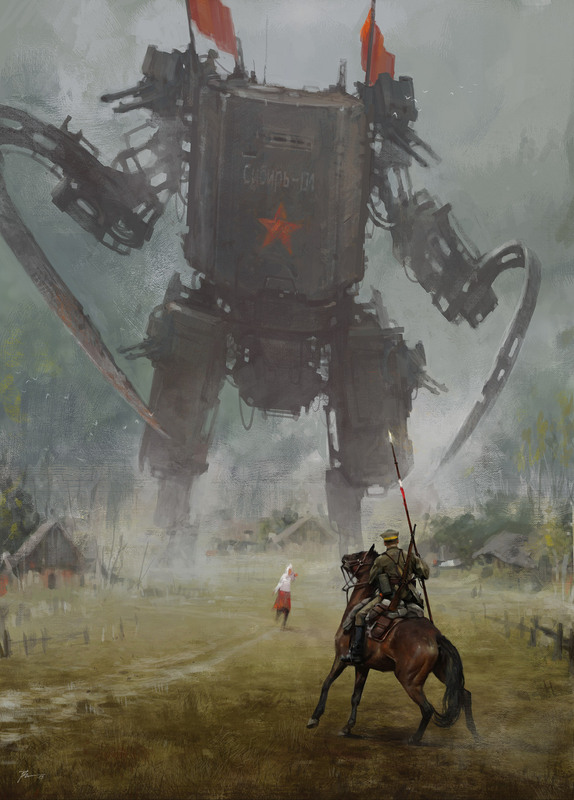 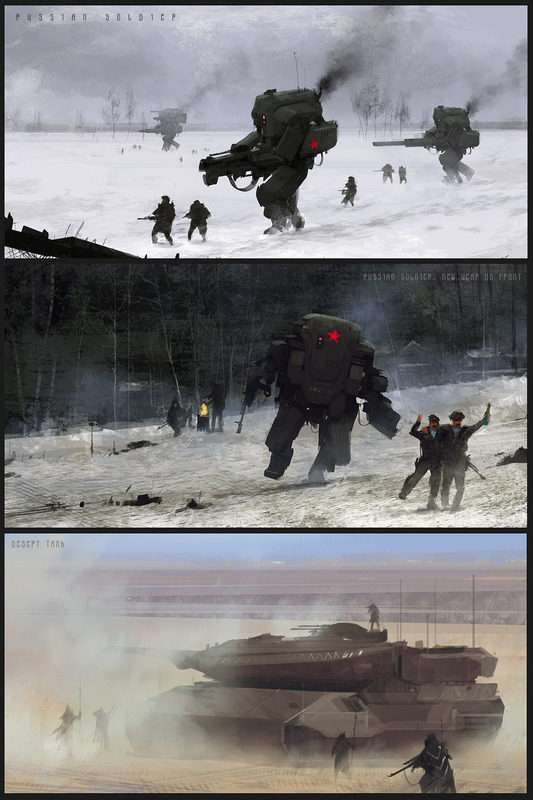 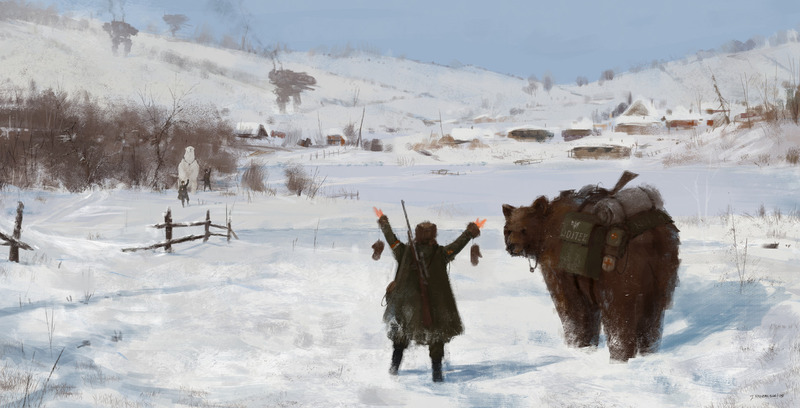 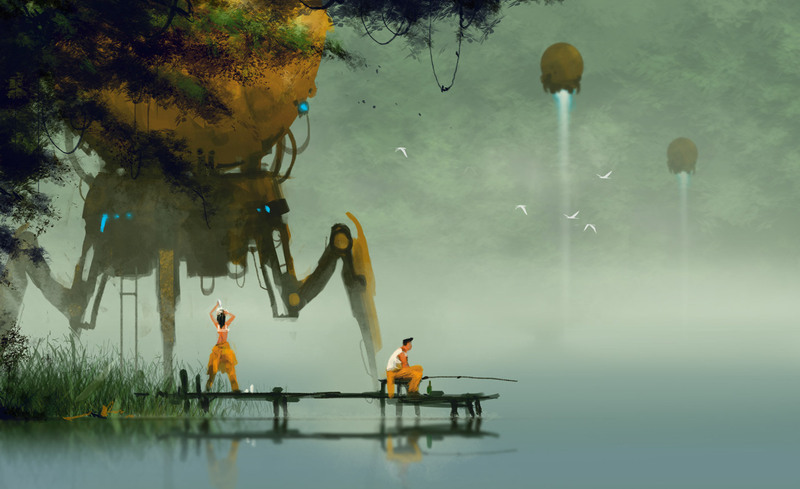 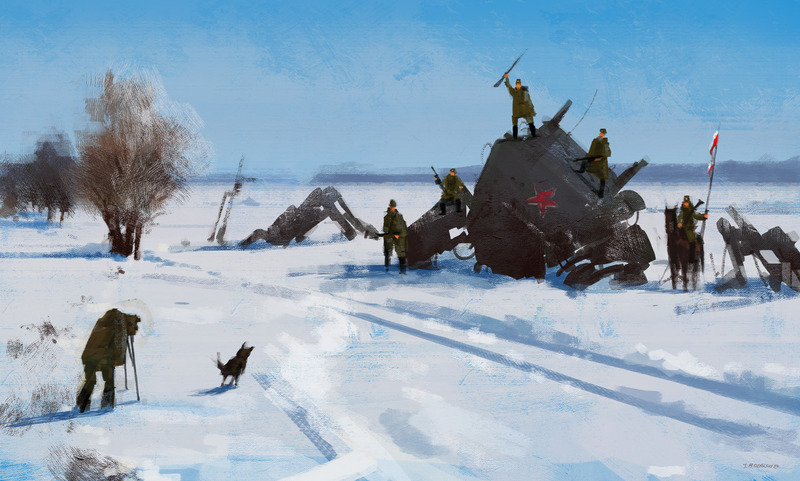 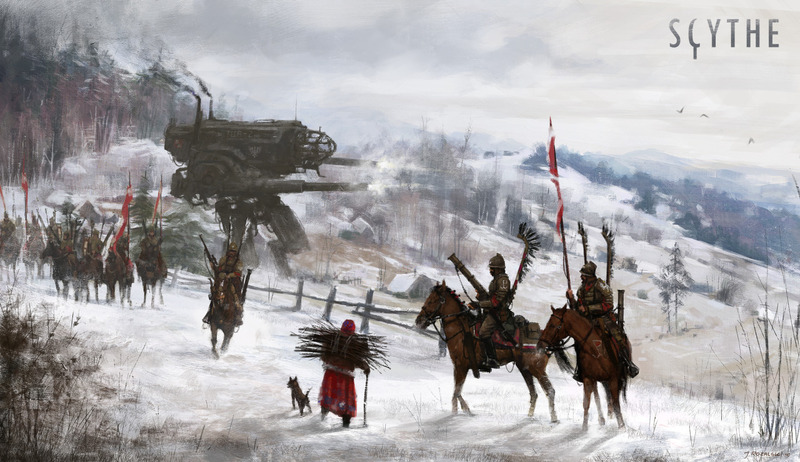 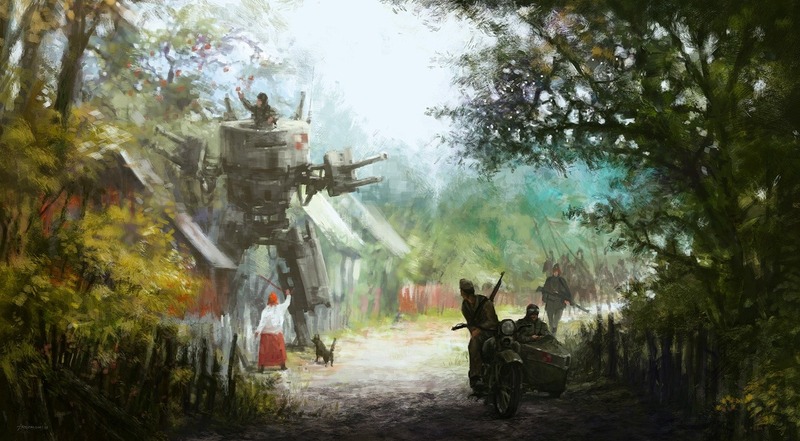 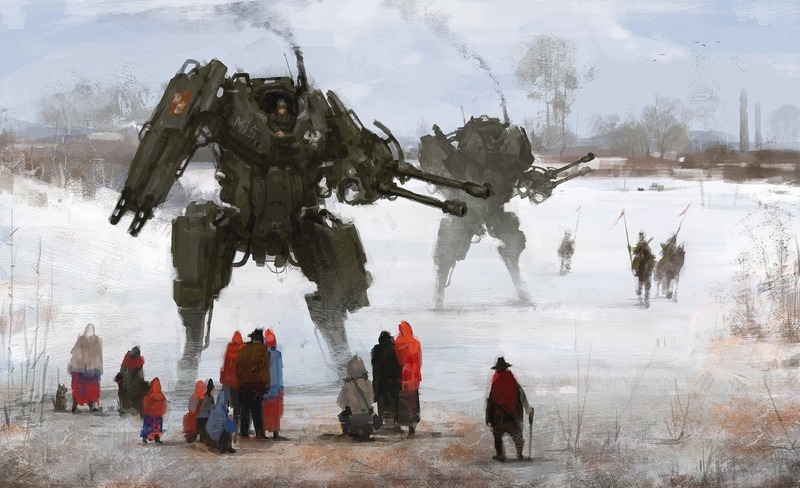 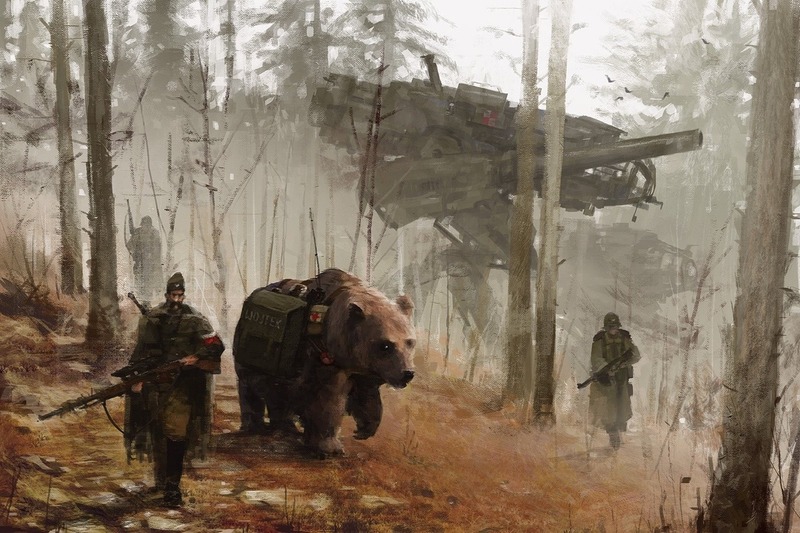 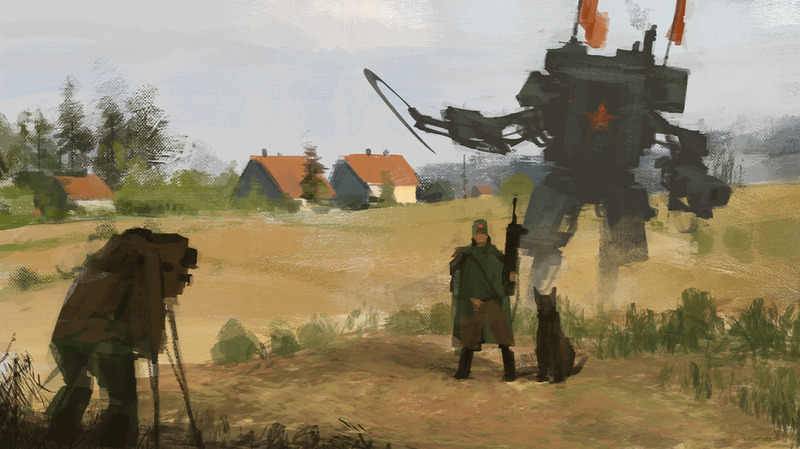 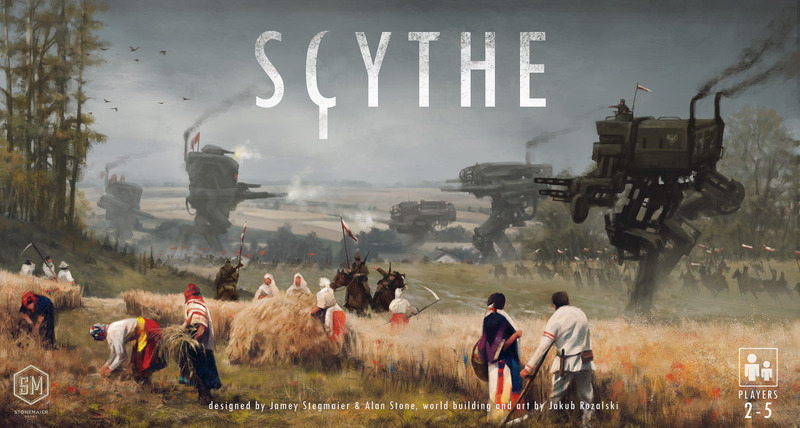 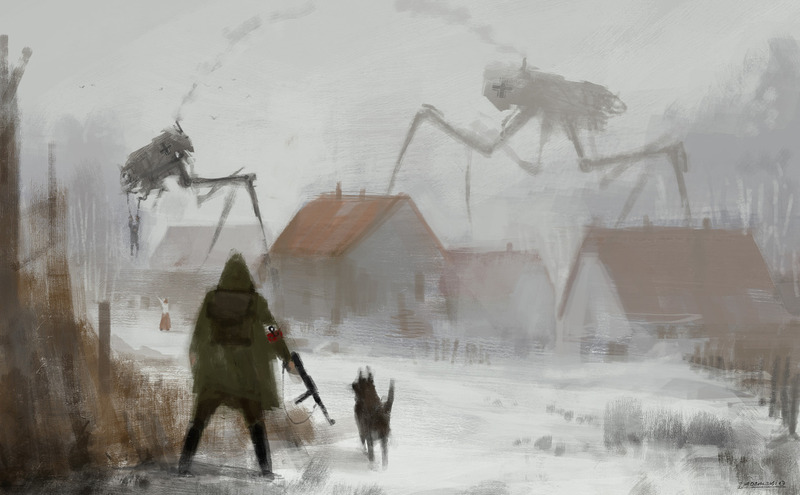 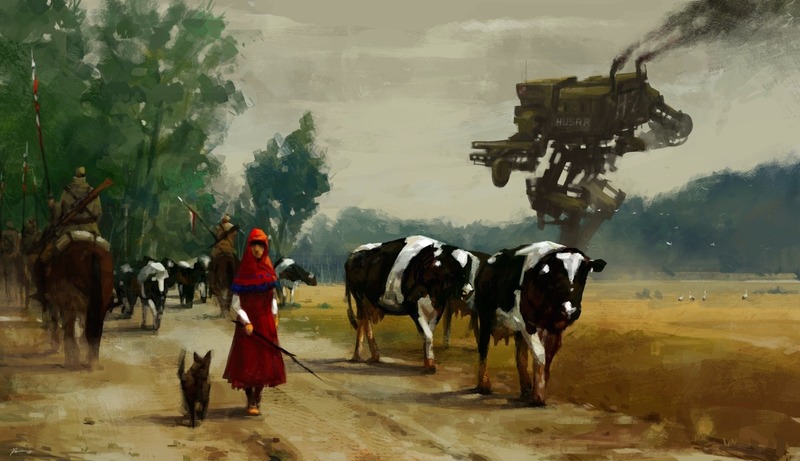 His amazing digital paintings are works of historical fiction that portray Soviet mechs drawn as if from the twenties. 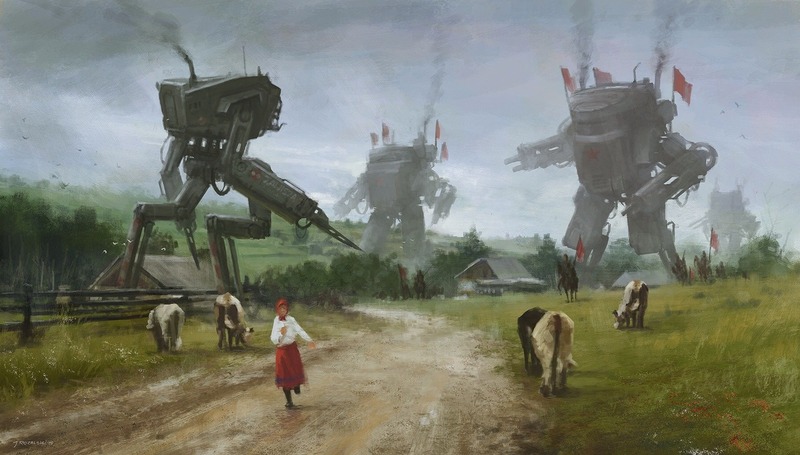 Specifically, he uses Photoshop to blend large, fictional walking war machines, or "mechs," into rural climates from early 20th-century Polish villages, creating rural dystopian scenes. 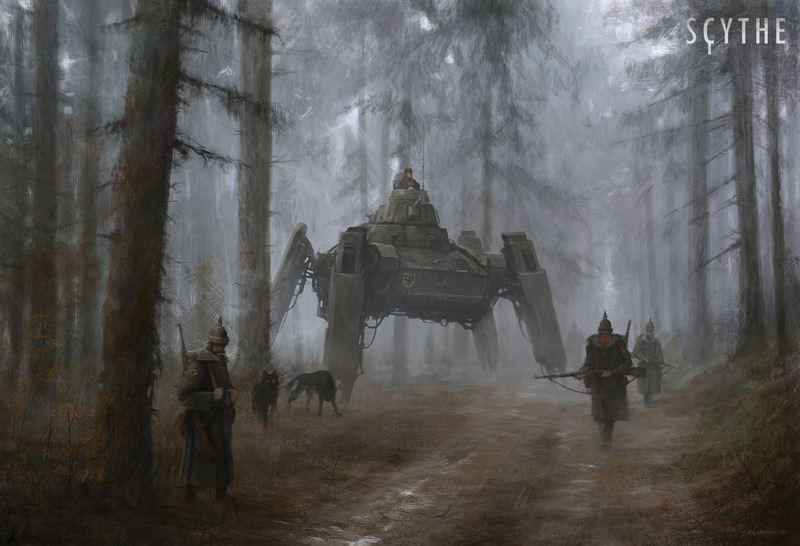 "History is my passion," explains Różalski in an interview with My Modern Met. 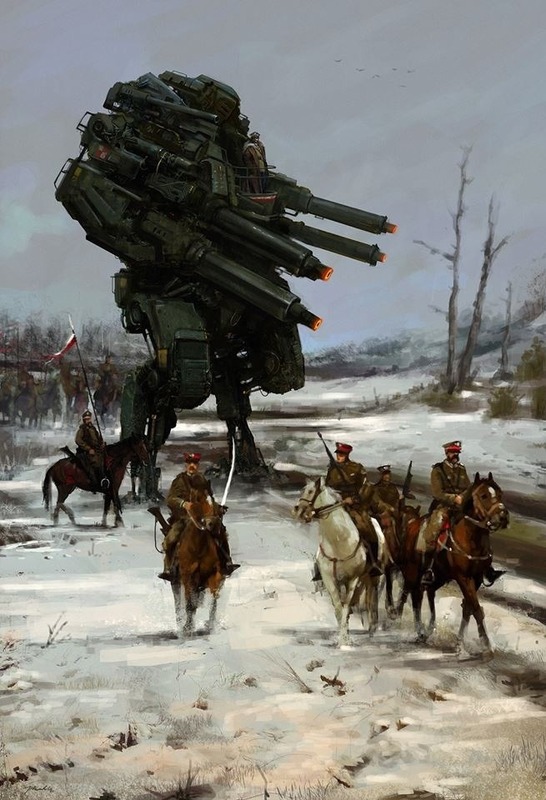 Through the works, he says, "I wanted to combine the classic motifs of cavalry, the Polish army, life in the countryside, Polish paintings from the late nineteenth and early twentieth century modernist design, [and] giant robot battles in order to [present] our [Polish] history and culture [in] original and interesting ways for a contemporary audience." 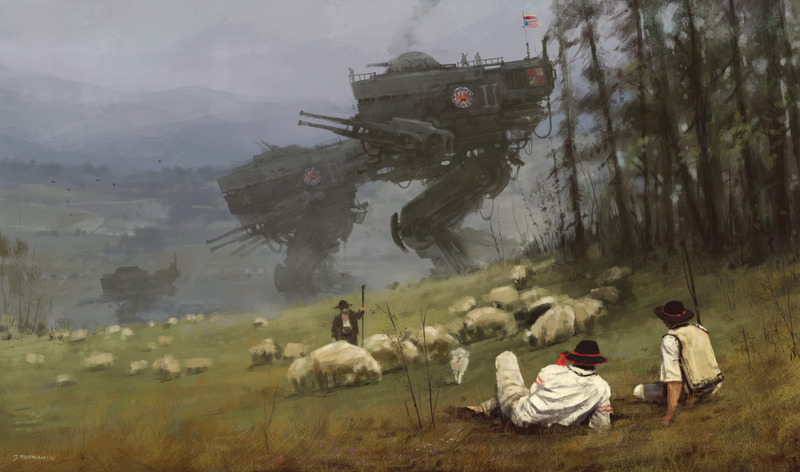 Read an interview with Jakub Różalski at Print 24.